Before You Buy a Printer - STOP! Would you like to know the 10 most important things to consider when shopping for a sign printer? 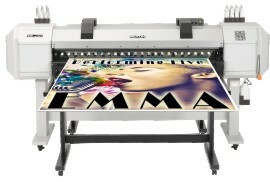 Most large format sign printers are intended to print on vinyl media, such as self-adhesive decal and sign materials, or banner material, but many will also print on paper. A few specialty machines will also print directly on hard surface substrates, for example wood, plastic, metal, or even ceramic. 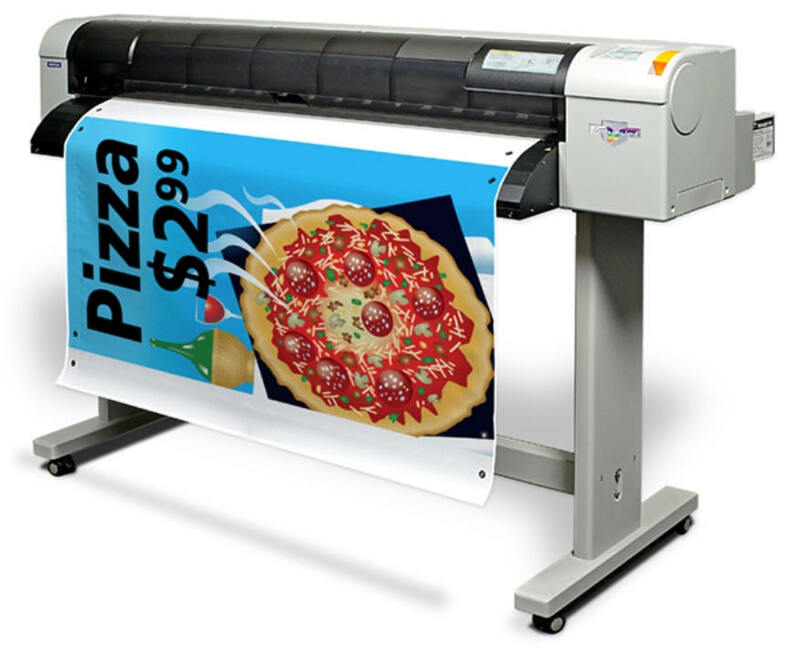 There are two main types of large format sign printers: Ink Jet and Thermal Transfer (also called Thermal Resin). 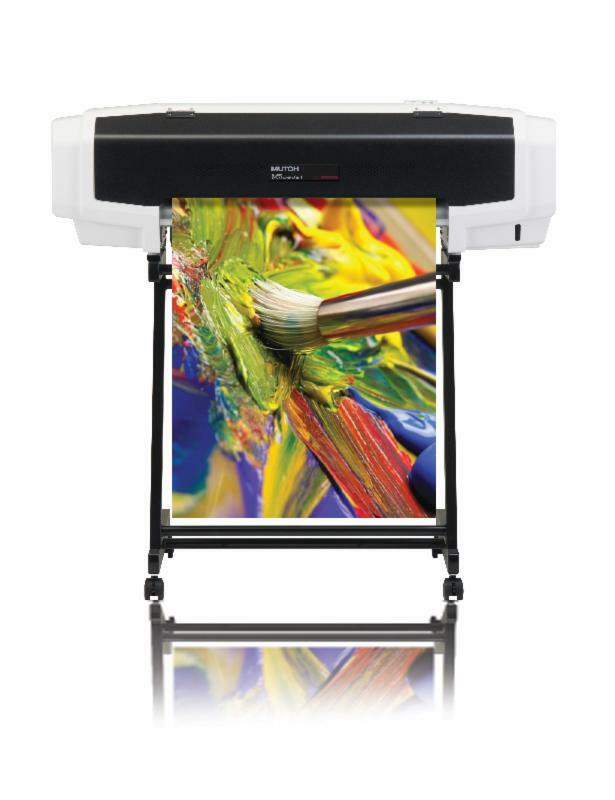 Inkjets are most suitable for photo-quality work, fountain fills, and printing on a wider variety of media. The production costs can be less expensive than thermal transfer. However, if lamination is required, production costs will be equal to or greater than thermal transfer printing. Regular solvent inks are more durable and scratch-resistant than eco-solvent inks, which makes them better for outdoor or other high-wear applications. However, research and development in eco-solvent inks is constantly improving them. Both types will stand up for 3 years outdoors. The main disadvantage of inkjet printers is that lamination of the prints is required for use on vehicles and other high-scrub applications. Lamination adds to the production costs, negating the low production cost advantage in these cases. 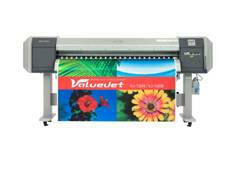 Having said that, inkjet is the most appropriate choice for vehicle wraps, due to the high speed capability. The most important point in the operation of ink jet printers is having the proper ICC (International Colour Consortium) profiles. This consortium sets the standards for colour management in the imaging world. In order to achieve optimum print quality, these profiles must be created to determine the exact hardware/software/media/environment configuration. Be aware that generic ICC profiles will give you much lower print quality on most substrates. It is not wise to accept this excuse from a supplier. The proper profiles do make a huge difference to your customer. SignEquip has the expertise to create these profiles for your situation, or to train you how to do it for yourself. Thermal transfer printers are the healthiest choice, because the inks come in a resin ribbon-type cartridge, and there are no fumes. Since ventilation is not needed, this is another cost saving feature for you. They are best at producing an instant and highly durable print, without the need for lamination in almost all, except extreme, cases. Although inkjet is the best choice for vehicle wraps, when it comes to vehicle decals, thermal transfer is a better option, saving time and money by not having to laminate. Another time-saving feature is the elimination of print drying time. The prints can be pulled directly off the printer and installed, including outdoors. Another advantage of thermal transfer is the availability of spot colours, for those bright, clean colours that can’t be achieved with an ink jet. Besides the two main types of printers, either of these types can come with a cutting feature built in, whereby you can contour cut your finished prints right on the printer itself. The advantage of this is the time-saving feature of a one-step operation, or the space-saving quality of having only one machine. The important thing to keep in mind is that if you use an ink jet printer/cutter to produce a product for extreme use (as mentioned above), it will have to be laminated before it is cut. This eliminates the advantage of the built-in cutter. In fact, depending on the registration capability of the unit, it may make it more difficult, and you may find it easier to cut it on a separate machine after all. Note: Both the Summa DC4 and DC4sx not only contour cut, but they also perform a second cutting step which will cut through the backing sheet to die-cut your finished prints. a) Print heads don’t get clogged or damaged with dust and debris from contaminated media. b) The cutter is also available for other stand-alone cutting jobs. c) Concerning ink jet printers only: For outdoor applications the prints will need to be removed from the printer and laminated before cutting anyway. This renders the cutting feature pointless. SignEquip can offer you all of the aforementioned options (except for ink jet printer/cutters). We’ve chosen our large format sign printer inventory for the purpose of offering as many choices as possible to our clients. Not all sign businesses are created equal. Depending on your market, you will want to choose the printer which works best to create the products you intend to sell. In most cases, in order for a business to expand into more markets, more than one kind of printer will be required. If you’re only capable of purchasing one printer at a time, our client service experts will help you determine which will be your best choice in any given instance. 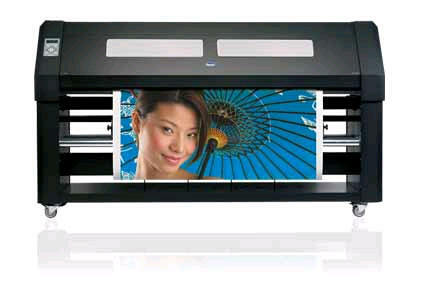 We can help you start off with the printer which will give you the widest range of possibilities. In most cases we recommend a thermal transfer printer to start. Thermal transfer provides the most market opportunities. However, if your market has very specific and exclusive requirements, we’ll help you choose the right printer to accomplish your purpose. When you’re ready to add to your market share, we can assist you to make the best additional purchase for your growing business. Are you interested in seeing a printer in action? We’d be happy to make an appointment to demonstrate any of the printers on our floor. If we don’t happen to have the model in which you’re interested at our showroom, we can often arrange with a client-friend to allow you to witness it in operation on the job. It’s important to choose a supplier that is prepared to provide some basic training before or after the printer is delivered to your premises. 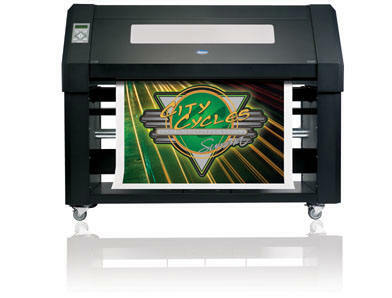 Large format digital sign printers are expensive, high tech equipment, and require professional set-up instructions. In order for the operator to acquire optimal print quality for specific applications, some training is required. SignEquip will provide this training at our depot free of charge, or for an extra fee to cover travel expenses, we'll schedule installation and training at your premises. After this initial training, we are always available for tech support over the phone. If you choose a supplier which simply ships the machine to your door, and absolves themselves of responsibility beyond that point, chances are you’ll never optimize use of the equipment, or you’ll incur expensive training costs by a third party. It’s important to get a professional reference. Find out what’s working for other sign manufacturers. What are the pros and cons of the equipment they’re using? Are they happy with their choice(s)? Are they happy with their supplier(s)? Given what they now know, would they make some different decisions next time? Rely on their experience. For more information, and to get all your questions answered, contact us by phone, fax, or email. Drop by our showroom. We can even give you references to contact. SignEquip's experts are always glad to help you make the best choices for growing your business. Click here for more info and a quick comparison between thermal transfer and inkjet printers (as seen in SIGNED UP email newsletter).